Hundreds of years ago the Church and the Incorporations of Haddington provided what charity and mutual aid was available. The nine trades incorporations (guilds) regulated craftsmen and gave mutual support to members. They were the Baxters (bakers), Hammermen (metal workers), Masons (stone workers), Wrights (wood workers), Fleshers (butchers), Cordiners (shoemakers), Skinners (tanners), Tailors and Wabsters (weavers). Incorporations could stop imports from outside and condemn sub-standard work; they could limit those practicing a craft, and regulate themselves through the elected deacon and officers. The fees and fines raised funded mutual-aid, benevolence and public duties in mystery plays, processions and public celebrations. Once, Haddington's Hammermen looked after the altar of St Eloi in the pre-reformation kirk. The wrights and masons had the altar of St John the Evangelist and the cordiners had the altars of St Crispin and St Michael. Later each craft had a 'box' or seat in the Presbyterian kirk for their exclusive use. Only a few people were in any trade at any one time; even the strongest never had more than a few dozen members. Everybody else had to find other means of insurance. However, the incorporations did provide the pattern for other developments. In the 17th century new professions started 'fraternities'. A fraternity was just like an incorporation but it could not insist on exclusivity: a baker had to be a member of the Baxter Incorporation but a gardener did not need to join the Fraternity of Gardeners. 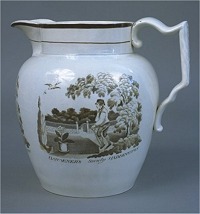 The Carters and Gardeners fraternities provided good benefits and mutual aid to encourage people to join. They were so successful that they outlasted the incorporations by over a century. The Gardeners became 'free' by admitting any man who could pay and the Carters became the Haddington Business Association via the 'Carters and Merchants Association' of around 1900. Still, many people could not afford the fees. Some had to rely on charity. The Kirk Session paid out £270 to 130 weekly pensioners and 'many others who receive occasional charity' in 1791. Others joined 'friendly societies'. These were anything from yearly insurance schemes to funeral schemes and perennial mutual aid societies. One of the first recorded was the Friendly Society of 1775. 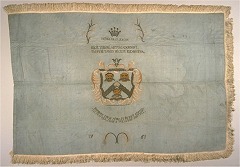 The Caledonian Society of 1761, the Benevolent Society of 1803, the Constitutional Society of Weavers of 1806, the Society for Granting Annuities to Widows, the Female Penny-a-week Society and others followed. Not all were successful for no one knew how to calculate risk. New friendly societies sucked in the available membership (those who could pay). Soon they started paying out and the sick list grew. It became less attractive to join. The minute that payments were larger than receipts, the society was insolvent and members got nothing. Unity or affiliated friendly societies solved the problem. By opening lots of branches they spread the risk. 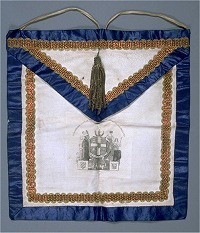 Lodge Loyal Tyneside of the International Order of Oddfellows was operating in Haddington by 1845, Court Lamp of Lothian of the Ancient Order of Foresters by the late 1860s. Afterwards there was a Tent of Rechabites and a Lodge of Good Templars. The beauty of these organisations was that local shortfalls could be met by loans from the national fund. They spread rapidly and many local societies and old incorporations closed. The pyramidal structure of unity societies developed grass-roots activism. 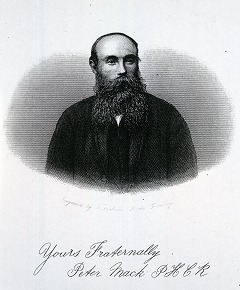 Peter Mack of Haddington rose to become High Chief Ranger (national president) of the Foresters in the late 1860s and in 1885 WF Machray sat on the Court Relief and Investigation Committee in London. The unity societies had hundreds of members in Haddington by 1900. By the end of the 19th century women and children's branches were opened. No one was too young to develop regular savings, prudence and sobriety. It was only after welfare was nationalised in the 1940s that friendly societies were sidelined and most closed.